Here at Chipping Norton Dental Practice we offer a full range of NHS treatments. Basically treatment falls into three charge categories, the charges for which have been set nationally by the Department of Health. 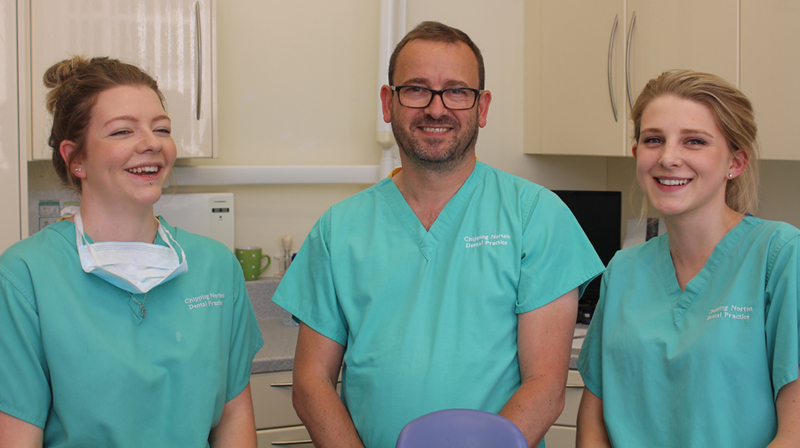 NHS treatment will provide all that is necessary to secure oral health and while we are committed to the National Health Service there are certain limitations in the types of dental treatments and materials that we are able to use and provide. We are however more than happy to offer you a very comprehensive range of Private treatments. Dentists in the practice are contracted to do a fixed amount of NHS work, therefore there may not always be availability with a particular dentist. We will of course however try to accommodate your choice of appointments and dentist as much as possible. Alternatively your preferences may be met on a private basis. A patient requires an examination and x-ray. This patient's course of treatment falls into Band 1 and they pay . A patient requires an examination, an x-ray and a simple filling. This patient's course of treatment falls into band 2 and they pay . If the patient required more than 1 filling on a course of treatment they would still only pay . A patient requires an examination, an x-ray and a crown or denture. This patient's course of treatment falls into Band 3 and they pay .